No B.S. 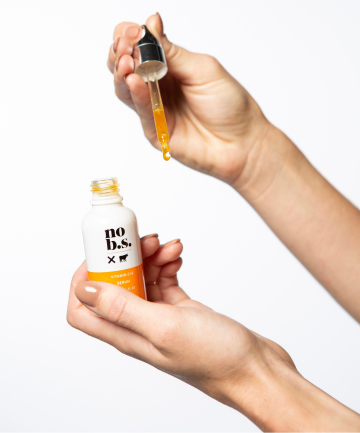 Vitamin C+E Serum, $40 This silky serum by No B.S. features not one, but two of skincare's biggest antioxidant stars — vitamins C and E. Juicy pomegranate, green tea and blueberry extract add to the antioxidant power to further heal, nourish, and protect skin while cica soothes and hyaluronic acid plumps and moisturizers.